Top 5 Setting Powders that ROCK! Her simple question is what sparked the inspiration to write this! Admittedly, it’s in my nature to always think and write about the intricate stuff: the skincare order, what certain ingredients do, what colors play well with others and vice versa, etc, etc, etc. But NEVER have I thought to write about setting powder. It’s so simple and yet, so vital to any artist’s kit! Whether I’m doing traditional makeup, airbrush makeup, light f/x or heck, no makeup for a project. I ALWAYS NEED SETTING POWDER. There’s always a situation that calls for it. In the very least, I need it to absorb the moisture from the talent’s or my client’s face, and/or to set a cream or liquid foundation. Let’s not get caught up in the wording as much as we are caught up in the benefiting factors of a given powder. For instance, is the powder you’re considering illuminating, hydrating, mineral, translucent, tinted, finely milled? Once this is considered, how do these factors play into the client’s skin type, need and overall goal for the given look? In my opinion and experience, THIS process of choosing a product is way more important than the word setting on a product label. In all actuality, I can use ANY kind of powder as a setting (aka finishing) powder. It really depends on what’s available, what the goal is and what kind of skin I’m working with. The potential situations are literally endless! Hence, powder is VITAL. As I mentioned, setting powders come in translucent, corrective, skin tone shades, illuminating, hydrating, mineral, pressed, loose. You freaking name it. Given all of the above (which can be a 3 hour workshop in and of itself) and for the sake of simplicity I’m going to stick to the ones I have in my kit and use regularly – which narrows it down to the top 5 you’ll see below. 1. 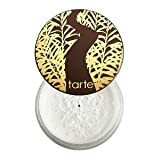 Tarte Smooth Operator Amazonian Clay $40 – This is what I’ve been setting my makeup with for the past 6 months or so. I’m a fan of ‘if it’s not broken don’t fix it” and this Florida humidity needs something to combat it! Tarte is a natural line that plays well with traditional studio makeup. It’s cruelty-free and eco-friendly. Unlike most powders today, this one is formulated with Amazonian Clay instead of talc. It’s translucent, has a silky, matte finish, smooths over pores (hence the name) and sets my makeup in place without the pastey look some supposed translucent powders do. It comes in loose and pressed. If you love rose, anti aging and luxury then this brand is for you! Personally, I’m game for ANYTHING hyaluronic! This means it’s holds 100 times it weight in water and keeps my skin hydrated. The powder has a matte finish and is great for clients with mature skin. 3. Makeup Forever Ultra HD Powder $36 – This is my second most used! You’ll hear me say it with every makeup review I do that includes this brand: MAKEUP FOREVER IS MY JAM! Their products and range are for true artists, so it’s no surprise I love this powder. I’ve used it to set brides, models and light fx makeup. It meets every mult media need I’ve ever had. It’s silica and silicone based and sets to a matte finish. It smooths like a boss and doesn’t cake. Comes loose and pressed. 4. 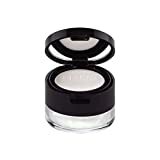 Mac Prep and Prime Transparent Finishing Powder $29 – As a purebred Mac Girl (circa before Estee Lauder aquired them), I love this powder. I’ was bummed when they discontinuted the 4 correcting versions of this. I dig it so much that I’m still using the last bits of my yellow correcting loose powder on clients that have redness. This formula controils oil like a beast, without caking and finishes matte. 5. Temptu Invisible Difference Setting Powder for Airbrush $35 – I was introduced to this powder when I ordered my airbrush kit from Temptu for bridal and production clients. I use this powder to set my airbrush makeup, but I don’t like the finish for setting traditional makeup. Particularly on anyone over 25, who has signs of aging or big pores (like me lol), because it accentuates the issues. It’s bomb on airbrush though! And I will use it for traditional applications if it’s the closest powder in my vacinity and I’m in a time crunch on set or something. Temptu Invisible Difference Finishing Powder, 1 Light, 0.42 oz. This list is my attempt to ‘keep it simple’. But if you’re a beauty junkie like me, you know that by no means is it my entire list! To be transparent, the links I’ve included are there so you can get the goods as fast as possible via Prime, and so I can continue to write as a revenue stream. Baby’s gotta eat!! My commitment to you and myself is that I only write from my real-life experiences in the field with products I’ve used. NO FLUFF EVER. If there’s something I mentioned here that you want more info on, simply email me with any questions! Lastly, hit me in the comments with your favorite powders and why! I love trying new things and I’d love to hear from you! !